Spoil the family with Mediterranean atmosphere and glorious holiday experiences. Explore the fabulous arcades and experiences for young and old. When evening falls, head back to your holiday home or enjoy the entertainment in the tropical holiday centre with children’s shows and Monky Tonky. Lalandia in Billund is within walking distance of LEGOLAND®. Lalandia in Billund has everything you need to make this year’s summer holiday an unforgettable experience. 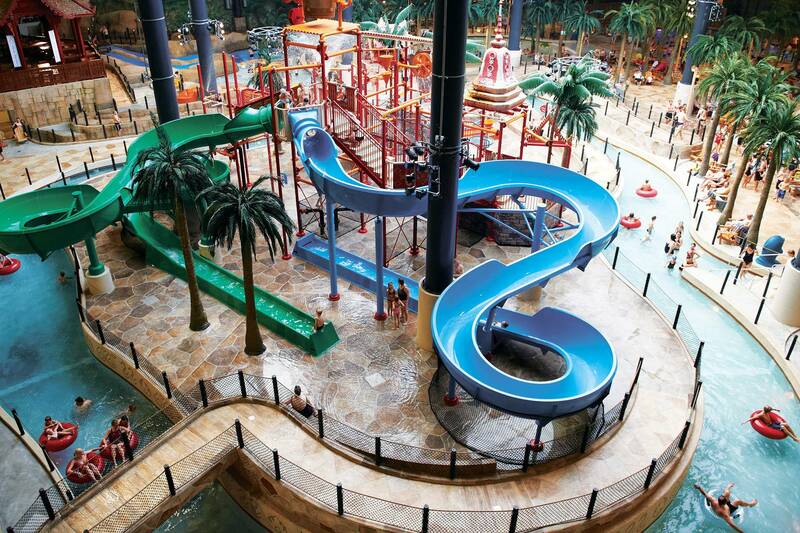 Discover Scandinavia’s largest waterpark, a wealth of activities, the giant Monky Tonky playland and much more fun. Book before 22 April and save 276 Euro. Example for Classic 4 1.7-8.7. 7=6. Offer is valid for stays 25.6-15.7. The most fun water experiences await at the Aquadome. Try the wild, fast Turbo Racer water slide, or spoil yourself with an aromatherapy sauna, massage and jacuzzi. We have collected Denmark’s best excursions together under the heading LEGOLAND® Billund Resort. Combine your mini-break at Lalandia in Billund with an excursion to one of our great neighbours.